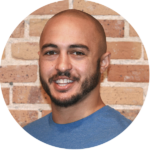 SharpSpring Usability Manager Bryan Tobin discusses the importance of using buyer personas within your marketing automation platform and how to think through setting up personalized marketing campaigns for your business. As Usability Manager, Bryan is responsible for creating content to help users get the most out of SharpSpring. This includes maintaining the support forum and creating instructional “how to” videos. Working in collaboration with Marketing, Support, and Development, Bryan helps create an exemplary experience for every user. No time to watch? Read the full transcript here. All right. So let’s go ahead and get started for a fun session today. So, thank you everyone for attending. Today’s session is, “Let’s Get Personal,” which I can’t help but hear the… “Let’s Get Physical,” song in my head everytime I see the title of this webinar over, and over. So let’s have some fun today and use that as our theme. And what we’re gonna talk about is using buyer personas to help move leads to the funnel. So buyer persona is kind of a cool concept that’s been around for a while, we just implemented the feature in SharpSpring a few months ago to provide some value, add service, and really make contextual messaging a bit easier to deploy. So we’re gonna go through, you know what personas are? Kind of a high level of the implementation process, we’ll talk about how we implemented them on our own side, to give you some kind of a real world case study, as well as just some things that I’ve seen working with customers and some other folks, and the implementation of this kind of feature. So it should be a lot of fun. Now I do want to advocate that if you have questions, please ask them. We have Nicole on, she is our Events Marketing Manager, she’s on here she can answer those. After a really good question we’ll save them for the end and we will address them at that time. And of course folks, you can email me directly. If we haven’t interacted before, I work on the product team here, I love talking to customers, you can always email me at bryan@sharpspring.com, and you will see that on the screen in a second. So to kinda kick things off, you know who are here who’s listening, so it’s really a mixed bag. So there’s some current SharpSpring partners, if you’re here and I’ve talked to you, glad you’re here, super excited for today’s session. There are some folks that are considering partnering with us, maybe you’ve read our marketing material or just heard about us in the space, so welcome. I think for you all this is kind of a good way to get a flavor of who we are as a company and what we try to do as far as helping our partners. And then our in-house marketing professionals, so for you, you’re likely here on the side of how do I implement this feature for my own company? So again, there’s lots of different folks here but the context of our session it’s gonna accomplish all those goals that we have on. So why are we here? We’re here because of this idea of personas in the system and these fictional representations of our customer audience. And we may’ve seen them, or we’ve heard of them, or read about them before but we want to get a better understanding of utilizing them and making sure that we’re utilizing them to degree that we should. And I think real world examples are important from the feedback I’ve gotten from customers and you know the few months that it’s been out the common theme is, “hey, this is really cool and we’re happy that you have it. Where do we start? And how do I make this relevant for my customer?” So we’re gonna touch on all of that today and I think we’re gonna walk away here with a lot of good information. So if you’ve been on our webinar before, pretty straightforward stuff that we’re gonna talk about. So for a housekeeping perspective, all the phone lines are muted but we do encourage interaction, so again submit your questions via the chat box. Engage with us on social, we have the #SharpTweet and you can tweet at SharpSpring if you have questions, comments, or just in general feedback, we love to hear it. If something happens and you fall off, don’t worry we are recording this webinar, we will distribute the slides as well as the recording after this. Usually it takes about a day to get that stuff sent out. And, of course if you want to distribute that with your team internally, please do so, we love sharing the content. Now during the webinar we’re going to do two polls that I really want you guys to interact with to make sure we’re getting some good feedback. And at the end we’re gonna provide the survey. Let us know how we’re doing, if this was good or valuable, we like to hear that and make sure you were investing in these event tactics. If it was a waste of time, which we really hope it’s not, let us know so we can make sure that we’re doing things that are valuable for you, moving forward. Now in addition to that, this is kind of a partner webinar that we do. And it’s a bit unique today because we had a partner that was lined up to exact at and do you created. Creative, excuse me. You had a personal matter that he had to step aside. So I’ll be running this by myself today, not too big of a deal but I did want to plug the fact that we do have a regular webinars every week that we host for our current agency partners called Springboard live. The nice part of this month’s session, so they each have like a theme to them, is that we talked about personas and kind of went through the incremental steps that a company would go through. From thinking about the process to start and you know thought mapping, what you wanna be? How you wanna build your personas? To building it out in app and then utilizing it at the other app areas, we do have a session on that, the 27th so that is this Friday. And you can watch all the previous sessions on our YouTube channel. After that, we do have one more webinar, well we have tons more webinars, but the next webinar that we have coming up is in February and it’s about using a SharpSpring in marketing automation to help build retainer-based relationships. We did a similar session about a year ago. Really valuable I thought it was cool because you know a lot of folks get a marketing automation platform for kind of one goal or objective. And they get entrenched in that, they don’t realize how much other functionality the tools and not even just with us, that’s with any platform. So we’d like to show how other current partners are utilizing the application to their extent, because it may open some doors for you to utilize the tool in a bit of a different way. If you like this stuff, if you like presenting, if you like to talk or chat with myself and wanna join me on a webinar, email Nicole at nicole@sharpspring.com. We love to get the schedule, we love working with our partners and I think they’re a lot of fun. So just a quick introduction, I’m on the product team, I’m the Technical Lead, I do a lot of stuff as far as making sure things are scoped correctly in the application, that things work as we expect them to work with the specifications, talk to with ton of customers. Again, I love the customer feedback portion because without that we’re not a company. So please, if we haven’t chatted and you do want to chat, drop me an email at bryan@sharpspring.com and we can start a conversation, for sure. So let’s get to the subject matter at hand today. So pretty simple objectives, so we’re gonna talk about you know, what is a buyer persona, kind to introduce this concept. Then we’re gonna show you how we did it internally. We’re gonna show the process we went through, some things that went right, some things that went wrong because that’s gonna happen and this is kinda the process of set up. How we dealt with existing leads because we have to somehow retroactively apply these personas that we build to leads in our system that maybe we weren’t, identifying to a persona before. And then this should the general implementation on your own side. We will of course open up for Q&A at the end but ask those questions as we go through and we’ll get them answered. The big goal of this session really is to make sure that, when you walk away from here you’re saying, all right, I get personas, I get why they are valuable. And now I can start going into my conversation with either my executive team on why we should allocate time to do this or your clients and why they should take the buy-in and make personas happen for them. So we have a quick poll that we’re launching, I see people are currently attending. Oh excuse me, responding to it. About your current state of personas and what you’re doing because we want to make sure this is tailored to what our audience is looking for. So I’m seeing some responses to come in, looks like about just under 50% have them but they’re not well-established. Hey, that’s us as well, you know we’re going to talk about how SharpSpring… It’s funny because you know, we have our own marketing team and we of course utilize our own tool but it doesn’t mean that we’re not just like you guys. Our marketing team sat down and tried to figure out our demographics and we had a lot of fun with it, it was cool and we’re still an iterative process. But yeah, if you’re in that stage where you have them but they’re not well-established, that’s completely fine. I think especially with today’s webinar you’re gonna get a lot of value from it. The next biggest respond it was, you want them but you don’t know where to start. That’s fantastic, we’re gonna talk about the where to start concept today on the call, because it’s, a lot of is just thinking. And it sounds like a simple questions that we’re gonna ask but as you kinda dig deeper into them, you start revealing these additional layers of, all right, these are our customers or at least these are the customers we think we have. And then noticing a trend and then segmenting based on those trends. A smaller percentage, I see personas in placed and formalized, fantastic. For those of you here, you’ll likely have some great feedback at the end that I’d love to hear and how what we’ve done really mirrors or does not mirror what you’ve done. And a small percent, 6%, I kinda like to see that smaller that you don’t understand them, or see a use for them. So I hope you guys do after this call. If not, I likely have not done my job I guess. But I think we can get you guys over the hump of seeing the value in personas. So again, thank you all for the feedback on that poll. So let’s go ahead and move on forward. So the persona definition, so this is kind of the Webster definition of persona, so a characterization that represent prospective customers. What they’re thinking? What they do? How they feel about you? And really what you can do to market to them in a more effective way? So it’s things like, really how do they interact with your brand? What kind of communication they have? Where do you find your customers? All of these are wrapped up into this idea of persona. And personas are really fluid because they can be whatever we want them to be. So different companies are gonna have different, like hot ticket items on what they need to identify in their target audience to capture it and then make the best leverage of that information in marketing messaging. So I like to simplify this, because I’m not a big fan of that Webster definition, and really it’s who do you sell to? So when we’re selling our service, our product, consulting, whatever the heck it is that we’re doing, who do you look to sell to? And it seems like a really simple question but I was working with a company here in Gainesville about two or three weeks ago, and you know they’re trying to get more into web dev, and web design, and optimize their marketing. And the first thing that I asked, we sat down for a dinner, I said, well, you know who do you guys sell to? And I was expecting a really very black and white answer, at least some sort of answer. And they say, oh we sell to you know we sell to college students. And I’m like, that’s not enough, tell me more. In this idea of like telling me more and digging in, for them it was good because they didn’t realize who their target audience was, they were kind of casting a wide net but they were throwing it into the desert. So they weren’t catching anything, they thought they were but they didn’t have any kind of strategy behind it. So we’re gonna elaborate on this, who do you sell to question shortly, but I would recommend do you all start thinking about this right now and who do you want to sell to? Who do you think you sell to? Who are your current customers? And we will elaborate on that. Now the big thing here is the why? So, you know why do we even care about persona implementation? What is it gonna do to help my business grow? How is it going to improve my brand recognition or brand relationship with my clients? So we have some stats here. So 82% of visitors feel more positive about a company after reading custom content. So in relation to personas, if we know a little bit about someone you know, what their buyer motivation is, maybe even where they’re at on the buyer’s journey, we can set up some really simple dynamic web content or a dynamic landing page. The content of which, meaning the actual copy on the page, can change based on the recipient. So if I’m a, you know CEO type, if that’s one of your personas, I might have a quick executive summary. If I’m a designer, I’m just using some of the ones that I know we target on our site, I might have a value proposition about how this tool or this service helped me from a design perspective. And it’s kind of unique because we only have one chance to make a first impression. Which doesn’t necessarily mean like a first touch or first exposure from like a marketing strategy or ad campaign, but really it’s the first time they embrace us. They come to our site, they click and they open the email. So we wanna make sure that the content of that message works and catches their attention. We’re all incredibly busy, we all have woken up with hundreds of emails in our inbox before, I’m sure tons, tons of things to do on our to-do-list. So we wanna make sure that the message that we’re putting out there, especially for net new customers, that it catches their eye. Because if it doesn’t, you know we’ve all had the website experience where we go there, it doesn’t speak to us, and we leave. And they might have some sort of service or deliverable that really is valuable but because it wasn’t front and center, and because in my three seconds into that site I wasn’t exposed to it, I bounced, and I left, and I moved on to the hundreds of other things I have to do in my day. The next thing is 75% of online consumers get frustrated when content isn’t relevant to their interest. So if I go to a site and I’m expecting something that speaks to me and it doesn’t, that’s gonna make me leave which is the exact opposite of what we want to do. From a content marketing perspective we want to promote folks coming to us and identifying with us in establishing our self as a thought leader. So just making people see us as like a knowledge source for whatever it is that we do. Because really the sales process has kind of changed from a… you know, with its ABC always be closing from that sales perspective. I think it’s more so ABE now, which is always be educating. And we want to make sure that we’re educating folks in the content, in the context with content that’s related to them. And personalizing the experience based on persona makes that really, really easy. The last thing it just is a best practice resource that folks that marketers in the marketing space acknowledge. You know 56% of us that work in the space believe that personalized content promotes higher engagement. At the end of the day we’re trying to tell a more compelling story to our clientele, or our customers, our consumers. So by personalizing their content we get longer website visits, we get people sharing our content which is a fantastic way to promote. And it’s like free promotion too because our consumers are just telling other folks, their friends, their trusted partners that this person knows what they’re doing, it’s fantastic. So high level stats, you guys can Google search and find tons others by I thought, these were the three that really spoke at to me the most, so wanted to include them. Now I wanna go back to that, who do we sell to question, and I wanna start elaborating on it. Because this is where we had a lot of fun, well, and I had a lot of fun because when our you know, our CMO came in here and he said, all right, we have to start using personas, which was a great thing for so our marketing team sat down, and they started thinking about this. And you know, they came to me and they said, all right, how should we do this? How do we roll this out? And these are the questions that I have brought to them. And you know, these are in the context of SharpSpring but these can relate to any industry whether it’s B2B or B2C. I have a whole part on B2C we’ll get to in a second, depending on your customer type. So the first one I think is the most important, it’s, who would you like to be your customer? So in the perfect world, if every person that you reached out to said, yes, and signed up or bought your product, who are they? What are they like? Where are they located? How are they gonna use your tool? You can see that these questions, I’m kind of alluding to the ones down there, but they build upon one another. Because we’re, ideally what we’re doing is we’re kinda taking this clay figure of this individual that’s just gray right now and we’re molding it into our target demographic. Now from there, we take to look at our current customer base and we say, describe our typical customer. So for the folks that we work with, who are they? If we want our target customer to be you know, like the company I was working within Gainesville a collegiate, students, 18 to 28 years old who have a college degree, who are living in Gainesville. Is that their customer base? Or, is it something else? Because that tells us a few things, one is our marketing tactics working to solicit the audience that we’re looking for. Or two, are we targeting the right folks? Because if we’re getting this response rate from people that like our product and enjoys but they’re not who we expect, maybe we take a step back and start actually focusing on that demographic. Because if we grew that space that quickly with kind of this tangential marketing imagine how fast you can grow if we focus our efforts. The next thing is how customers find you. So multi-channel marketing, campaign attribution these are things that are important to understand how our brand is going to grow. So if you understand how customers find you, you know how you can communicate with them. Millennials, you know where is gonna be a lot of social media stuff, if your demographics a bit target, a bit more older, maybe they want more print advertisements. If they’re traveling, maybe you’re targeting folks that work in like the airline industry, so maybe you want some content that is in airports. Or wherever folks are gonna find you, we wanna know that so we can then tell the story to those channels. The next two are kind of one in the same, so it’s a typical customer interaction. How do you work with them? Do you work with them? Do you talk to them? Is it daily? Is it weekly? Are they frustrated? Are they happy? Explain that, so we understand what those different kinds of interactions are gonna be. And then what’s our product interaction? So product in this context is not just a product. I just used it because it was too difficult to write a sentence by added sentence, or added service, and consulting, or all those other things that we do. So product is anything. But how do they use it? What is their interaction? In kind of a real world example that I had recently, I got a Fitbit for Christmas which for those of you who are not familiar, it’s like a fitness tracking thing. And I was setting it up on my phone and you know, as I go through the app they’re asking me questions about what are my goals with this Fitbit in? Why did I get this in? As I’m going through, I took screenshots and I saved it, I showed it to our marketing team as I said, this is such a great way to get someone to self-identify on how they wanna interact with the product. Because if we know about, that that makes marketing messaging so much simpler. Because really they have done the hard part, they’ve told us what they wanna get out of this tool and we can then supply content and messaging to supplement that. I thought it was fantastic and a very unique way to get folks to kinda promote their product utilization. Then how does the product help them? You know we see this sometimes in the question of, if anyone here has done sales, it’s the old sales question, you know what keeps you up at night? Which is a, it’s very valid question to ask folks. And you’re thinking in late in the evening, it’s the thoughts that’s in the back your head of… how does this actually solve some sort of issue that I’m working through? Or how does it make my life better? And we have to answer that question. Then also, what does the customer give up to interact with you? So another company that I worked with here in Gainesville is a like a local gym. And their thing is you know, its people going to the gym it takes 30 minutes of traffic to get there, 30 minutes to get home, and then some hour of working out. That’s two hours of their day they’re giving out to go to this facility. So does the value that you provide, provide enough value that was a very silly sentence, to make them give up that time? So we have to understand what our customers are giving up or whether it’s another service, or some other tool, or anything to utilize your service or product. Then the one before the last one is why do customers leave? Sometimes the question we don’t want to ask, but we need to know because if we understand why folks are attriting or why they’re getting frustrated or what happens? First of all, we can bring that internally and make sure that we’re fixing that, which is my big focus. And the second thing is making sure that from a messaging perspective we’re doing everything we can to make sure that doesn’t happen. Is it a recurrence of communication? Do we not touch them enough? Do we touch them too much? Getting these details can help us promote this idea of what our persona’s gonna be. The last question and we’re gonna come back to this later, is this, how would your customers describe themselves? This is, this is I think the most important part of the persona process. So are kind of two ideologies on how we set personas with our customer base. So either we define these metrics and then we just assign the personas to our existing leads, or assign them when they come into our funnel, or leads tell us how they wanna interact with us. I think the ladder is a stronger method of promoting communication because while we can make an assumption on someone, you will say, I’m the CEO of a company. And we, you know we target them, we make them our CEO as the persona but really they were a designer before they became a CEO and they’re the CEO because that’s their company but really they see themselves still as a designer at heart. Our messaging should speak to them as a designer rather than a CEO. So we’re gonna talk about some unique ways to get that information. The Fitbit example is one of the… It’s the most recent, so it’s that top of the mind example, but it’s also one of the best ones I’ve seen this far. But you know, use your product to supplement this. One of the ideas that we talked about internally was kind of at SharpSpring we iterating persona in the onboarding period. So for those of you who don’t know, onboarding is like our implementation period where we train new folks and how to use the tool. So one thing that we wanna do is the onboard have a lot of personal touch with the actual counterparts. So agencies that are here, you’ve worked with an onboarder and you know how much you work with them. So what we wanna do is kinda do a fact check and say, all right, our sales team and marketing team identified this person as this persona and that’s how we sold them. But to maintain an ongoing relationship and improve retention and make sure they’re happy for the longevity of this partnership, we should evaluate that persona again in the onboarding phase and make sure it is accurate. Which I thought was a unique classification of how we can utilize the personas internally. Now if you’re here and you’re… with the small company or your B2C and you say, okay, you know none of these speak to me, or not all of these speak to me. The thing is you’re gonna likely have multiple answers for all of these, which is completely fine. And in the B2C space, it’s okay if you haven’t answered these yet. Because if you’re smaller or maybe they’re just not relevant, that’s fine. And you might have different points that are more valuable to you. Again, make this what you will but this should give you a good starting and launching-off point of how we can start building that persona idea. The next thing is assembling a team. So one of the issues that we had when we started doing our implementation was, we told our marketing team to start building up personas, which I think was kind of an unfair ask of them. Because you know, they don’t know the entire lifecycle of a customer with SharpSpring. They don’t know the personal touch that a sale has, like how those demos go? How they stay in on boarding? How our support is interacts with them? So we need to get our team together to really make sure we’re getting valuable input from multiple folks. I thought it would be kinda fun to make these team names, a persona names that we use in the system. So again, this is just a framework, take it whatever you want, B2C folks, too small folks, you might be all of these people. But when you’re thinking about this in the context of persona creation, make sure to wear the appropriate hat for the role that we’re looking at. So you want someone who works in customer service. So these are the people that work with your existing customers. They kind of can answer that, tell me who we actually work with? Question that we had initially. So we definitely want someone who does customer interaction with that customer service, or support, or just someone who answers the phone. You want someone who works with prospective customers. So this is interesting because it lets us know how people think about us in the space. So before they worked with us as a company, or used our product or service. How do they feel about us? How do they find us? Why do they even want to be talking to us? Because if we can identify what those points are, we can build those into a persona and the message based on those why statements of, why are they even here? And then kind of answer that before the salesperson get on the phone and do that. You want someone on the marketing team. So their job is to think in broad strokes and how they’re gonna target new business and really the marketing team is who works with our personas on the day-to-day basis after we built them out. So we want them there, because they’re gonna take the original assumption of who our target market is? We’re gonna take the feedback from the other teams and build these personas out. The next one is a decision maker. So we just need someone to be the tiebreak in the room. As we get different feedback from different groups, we’re gonna perhaps have disagreements on what’s important or what’s valuable. So we need someone there should be it an executive or someone who just says, hey, this is the decision that we’re going to go with and move in that direction. The last person is the administrator, this is the individual building out these personas in your application whether it SharpSpring or whatever it else is that you’re using. So we want this person here, so that we don’t lose any kind of knowledge transfer. Because you know, if we just talk about it and we don’t do it, that’s not effective also. Having that person in the room and, they’re also kind of the realistic person saying, all right, this is what we can do within the limitations of the functionality of the application, this is what we can’t do. And then their job is to deploy it and make it real. Again, this might all be one person and that’s completely fine but I do recommend, as you’re going through this exercise and thinking about this, one, talk to someone. I wouldn’t do this in a silo, I don’t think it’s effective, even if it’s just a friend or you know someone on the street that you can grab their attention and they listen to you for a second, because they’ll have some feedback that perhaps you don’t see when you’re looking at it in a box. So I definitely recommend making this a conversation. If you’re a partner, we can have those conversations with you. You know this session is not about selling SharpSpring but we do have a training team that can help on the phone and kinda spitball and do the old racquetball methodology of bouncing ideas off one another till we land in a place that makes sense. Again I do want to reiterate if you are small, if you are B2C, it’s not a big deal if you are all those people. Just make sure to focus on the hat that you’re wearing at the time. So let’s get down and we actually did this. So SharpSpring our target demographic, our marketing agencies that’s what built our solution for. We have a small percentage of direct customers that sign with us. So we decided to make unique roles for each of those like different silos or agency in direct. It says we have five roles each, when I came to the first meeting, they were actually I think 10 or 8 to 10 for each group and that’s fine. So our marketing team did a really good job of thinking about who we sell to? But it was way too broad. Because if we have you know, a 20 personas, we really have none because it’s just way too granular at that point of who we’re trying to market to. So the first thing that we do is we sat in a room, we took those 20, and we consolidated them down to 10 and then we actually moved them down to a total of 8 that we currently have live in our tool. There’s roles under each, so the typical title of someone who we’re working with like, we have a role for a CEO. And it’s not always the CEOs, the agency principal, it can be the primary decision-maker, but we’ve identified the roles that are typical for that persona. Again, it’s not you know, it’s not a Bible that someone can have a completely different role. But we’re just saying this is the typical role, the first in that persona. So who are they? Now the cool part is if we asked ourselves all those questions that we saw in the original slide, we already have the answers to this. So, the next step is really just building that information out into the template in our tool that we can build personas from it. More questions are gonna come up. We’ve noticed that internally in that, as we’ve used them it’s like, oh, wouldn’t it be great to memorialize this information on this persona? Let’s add it. Personas are dynamic, you can change them at any point in time and they’re intended to be changed because as your business evolves, the persona should evolve with you. There’s that, what keeps you up at night? Question that’s a pain point, it’s a very important thing to capture, especially from the sales perspective because our sales team is the team that’s gonna be using this with marketing. So before they help on a call with the customer, or before they send an email, or whatever it is they’re gonna do for messaging, they’re gonna look at that person’s persona. So if we can understand or point the sales team in the right direction of, you know, why is this person here and how do we help them? It’s going to make that initial message much more compelling and resonating than just some sort of generic message of, hey, this is you know Bryan on the sales team, I am here following up because marketing said you were interested. Instead we say, hey, this is Bryan on the sales team. I see that you’re having some difficulty expanding your brand and having folks find out about you, let me tell you how we can help that by promoting a social strategy or optimizing your website with SEO. So we identify the problem and more to solution. Then we promoted the marketing automation stats that would resonate, again those are gonna change based on the customer for designers, it might be you know, here is how easy it is to make your website space, websites speaks to your customers. For the CEO it’s gonna be, here is how it helps grow your company, here is the ROI. So we kind of loaded our team with this information. Three content pieces, again great for allowing folks to continue to send valuable information to people. So what content works depending on the persona and helps out of course, to promote folks down the funnel. Key features, so SharpSpring’s a pretty robust tool. And for folks here, if you have different products or services that you offer, likely when someone comes to you there’s a very small percentage they want like a full stack solution. So there’s one thing that drove them to you and our job as sales in the marketing is to build that bigger picture and tell them how this works in the context of everything. But we wanna make sure that we’re focusing on you know, what if they could only have three features of the application? What three features would they have? If your product could only do one thing for them, what would that do? And by identifying that, we’ve really just unearthed the unique selling proposition for that persona. And then a sample of messaging, this is kind of optional, we included it because it’s, they integrate way to make sure there’s a line between sales and marketing in how you should communicate to this person with that short to sync sentences, does your company have a brand? Are they funny, is it very stoic? Whatever our communication style is, we wanna make sure that we have an example of that, and that can of course change based on the persona. Now getting them in SharpSpring was really the easy part. Once we came up with what our personas were? What information we wanted to capture? We just built them out, there’s a section under automation called Personas. It took maybe a few hours to build out, and after that it was completely accessible in the tool and our sales team was using it. As we were preparing for this webinar, I kinda had one of those cool moments where you feel like you did very rewarding work and we’ve hired some business development representatives recently and our marketing team said that, they’re using our personas as their you know, their source of the truth to understand who they should be talking to when they’re reaching out to customers. That just made me so happy because that’s the intent of this tool is to make, one, their lives easier because we’ve all started that you know, new job where we don’t know who the heck we’re selling to? Or what we’re trying to do here? And what is our target audience? Where do I focus my efforts? So, it’s making their life easier. Also from a company perspective, it really makes us more unified because there’s no like ambiguity of who we’re selling to. There’s a definitive place and app. These are our target market, now let’s go out and talk to them. So I thought it was fantastic and definitely wanna… It’s cool to see that stuff come full circle because I think you all will see that too. Here’s kinda the final product, so this is what a persona’s gonna look like SharpSpring we see. Olivia is the name of this persona, this is the agency principal, there’s that role that we talked about being associated to it. The, I would describe myself ask a question is something that’s incredibly valuable because it’s how someone would really describe themselves to us, which… I feel like I just read that sentence and said it again but it was much more valuable in my mind. But it’s really how they think of themselves in the context of how they wanna work with you. Going back to our previous example, the designer who’s a CEO but see themselves a designer, if they self-identify as that designer persona, and we can message them to that regard, it’s gonna make our messaging that much more effective. A bio, you see lead distribution in the past 30 days, which is really cool so, how was your database made up? Like what’s your biggest persona? And by using that data we can know where to focus are. You know marketing efforts because if the certain percentage of our leads fall into a certain categorization. We wanna make sure that our content for that categorization is the most compelling. Then we have some widgets that you can build out, keywords for sales, key features of the app, all stuff that you’re gonna build up on your own as you go through this process. And just a few more, here’s Andy, and here is Brett. So in all kinda, you know the products that we go through there, of course were challenges that we faced then. You know they were frustrating and frustration is okay in a circumstance like this because I think, you know it’s what makes diamonds pressure makes diamonds. And that’s what we did here was we put ourselves in a very high-pressure scenario to make these things impactful and effective for our own utilization. So the biggest issue that, when they pulled me in, was that we were working in a silo. It was our content marketing manager and our marketing automation administrator, in a room building the state. They really pulled me into kind of provide some context of the tool itself. And as we got into that, I said, you know, who are we talking too internally? Are we talking to sales? Are we talking to support? And the answer was, no. And that was the first and that we did was open the doors and like make it not a silo, so that we can get people engaged. We also distribute on valuable information. So there is limited space in our persona you know, we can’t make it a textbook because of you know too much information, no information. So we had to make strong decisions on what we should include and not include. And we disagreed, and it was tough to come to agreement but we did and we’ll talk about that shortly how we did agree on it. Getting employee buy-in, so we’re, you know we’re not a big company but we’re at 130 folks here in Gainesville now which is crazy, but how do we get everyone in the company to acknowledge these personas that we’ve identified and to really get the buy-in? And the last thing was making a feedback loop. So we don’t wanna just build personas, wash our hands, and never come back to it. That’s, that really defeats the purpose of this process, it has to be iterative. So how can we effectively establish some sort of feedback loop? So here’s how we solved and are solving, because again it is a process, it’s gonna evolve over time. We opened the doors, the first thing I did was we assembled a team that we talked about earlier, got different stakeholders, had people who had unique and distinct interactions with our customer base as well as our prospect base. And ask them what they found valuable? What stuff that they’d picked up during their process that they would like memorialize? Or really, the question is, when you walked in day one, what do you wish you would have known? We brought the individual sales reps. I thought this was incredibly valuable because they’re the ones that on the front line talking to the customers. So we want to make sure that we’re arming them with necessary information. And that’s really how we solve that discriminate on valuable information scenario was we said, all right, let’s find the folks that will use this information and let them make the decision. Of course we had an opinion on that as well. But that really opened our eyes to, okay, what we thought was valuable, they’re never gonna touch or use. And this idea that we didn’t even think about, we should start focusing on because they talk about it every sales call. We did a demo to employees which was fantastic because it kind of was another layer of feedback on, oh well you’ve missed this group, you’ve missed this group, or it would be nice if we captured this. So getting that internal by-in was fantastic and really for our group, everyone felt like they contributed part to the persona creation process, which I loved because internally it makes folks feel like they own it which is fantastic. The last thing we do was make this a recurring discussion. So we have leadership meetings here and we talk about a variety of things in those meetings but personas are a talking point in this meeting as well, to make sure that we’re always targeting a demographic. Some of you might be doing this, this is kind of a marketing discussion point a lot of marketing meetings. But we make sure that we talk about it in the context of our personas, because as that moves forward it becomes the context of, how are we messaging our personas? To make sure we’re still being effective in that strategy. So kind of the last thing that we’re gonna talk about is all right, we built personas, we understand them, they’re awesome but I have this lead database, you know how the heck do I get my existing leads assigned to a persona? So there’s lots of ways. The first and the one that I promote is having it happen over time by adding these self-identification questions to our forms. So in every SharpSpring form you’re gonna see a question or, excuse me, a line item that says, click to add a persona field. When you add that, it’s gonna add the, I would describe myself question to your forms. It doesn’t have to go on every forms, you can only put them on certain forms. I’d recommend putting them on forms that are kind of a first touch form, so a dedicated landing page for a campaign is a great example. Because we don’t wanna ask it every time, we really wanna ask that question once and then never ask it again until we evaluate if that persona is correct. You can change the text here, you can change what that question says, and make it more contextual, you can use you know if you’re more technical the API to send that data over. If you have a more unique way of gathering this information, kinda like Fitbit did. But really the idea is to have folks self-identify first and if self-identification becomes difficult, we can automate assignment. So change lead persona is a rule in our automation engine. For those that are not familiar, it’s just how we make big data changes or send emails or notify individuals, the automation is kind of the heart and soul SharpSpring can do. A ton but we can say, all right, if someone fills out any form and they have the title equal to CEO, which is a silly example, we can then change their lead persona to whoever we want. Persona can also be a trigger. So we can say when someone becomes this persona, assign them to the sales reps, send this email, and do this that and any other thing we want. So using automation is a great way to both, one automate the assignment database, and two take action once a lead is assigned to a certain persona. Our last method is on each contact record we have this marketing profile. It’s gonna see their status or lead status contact, contact with opportunity. And then we also have the blue button that says what the persona is. So when we click that, we’ll see the information right here. We talked about those tough decisions on including the valuable content in the persona, this kind of a good example. We see that not all the information provided, we have the bio, those keywords for sales, key feature of the app. So we want to make good use of the space. And this is what the salesperson is gonna see so, our salesperson was gonna call Nicole, he sees that she is a Trish which is a marketing agency specialist traffic manager or production specialist. And they know that they wanna focus on usability, no coding required, makes automation simple. So we’re giving them those keywords to have in the conversation with the prospect. Now the last step really is once we got our personas up and running let’s start using them. The two areas of the application we are gonna use the most in will be dynamic emails and dynamic landing pages. So preferably we refer that says, dynamic content. You can also add dynamic content to your own website and change a ton of things with the… based on the persona value. Add some things I’d recommend if we’re thinking about where to start, personalized subject lines. I can’t really emphasize this one enough and the fact that when we’re doing email marketing messaging, which is a very effective marketing strategy, it becomes ineffective if people don’t open the message. So one of the best ways to do that is subject lines and make sure that subject line speaks the folks. We can add merge variables to and say, hey, you know hey Nicole, hey Bryan, here is information. But by tailoring that subject line to the recipient, we can increase open rates. You can also like customize the pre header text, which is fantastic too. It’s that little piece of text you see before folks open the email. Fantastic way of getting people engaged. Unique selling proposition, value props differ based on personas, so we wanna make sure that our messaging speaks to an audience. I had an interesting website interaction this week where I, I have pet insurance, and I was going to the site, and I was trying to log in to my portal and I couldn’t find the login button and everything on the page had Sign Up, Sign Up, Sign Up, Sign Up. And that’s frustrating because I already had signed up, so I end up finding log in it’s this tiny text at the bottom of the page, and for me this was a great use case for dynamic content because if they know that I’m an existing customer of a certain persona, which for me it’s a you know, dog owner, they can then make that CTA front and center and put it right in the center of the screen, so everything that says Sign Up becomes Log in. It makes my user experience a lot easier. It’s crazy as you start using the stuff you’re gonna see good use case and examples of how this can be applied elsewhere, just in your day to day life. Messaging preference, if someone is an executive, maybe they need really small to sync messaging, maybe they want email once a month. If someone is interacting with our system, they’re an admin in the case of SharpSpring, they might want recurring emails every week of what’s happening or what’s going. That responsive of CTA is kind of same example I provided with the pet insurance company. A compelling media asset. So, if we want to send someone a video or a link to a downloadable, a PDF asset or something we can download, we can send the information to them or the asset that’s relevant to them. Case studies are big here so we don’t want to send someone a case study that is just completely you know, BS to them. We want to send the one that’s gonna get them to click and interact with it. And then distinct imagery, the one that always sticks out in my head here is you get emails from like from sporting and good company at least I do, and I open them up in the primary header you know, the hero image as they call it is some sport or some athletic wear, that I would never wear. Or you know maybe it’s women’s clothing and I know you can tell by manly voice that I’m a man and that doesn’t speak to me. So just doing simple things of changing out the imagery, really helps increase interaction, increase engagement, and progress us into that more storytelling mode to build that brand engagement. So that is it. I know we’ve talked about a lot, so we’re gonna do a quick recap and then we’re gonna open up for some Q&A. So guys personas are for everyone, B2B, B2C, every company can get value from them. If you don’t think you can, please reach out, I would love to chat with you and see if we can think about some ideas. There are picture of representation your customer audience. Have fun with them, make them useful, you know put the images around your office to build brand reinforcement, persona reinforcement, whatever you have to do. They’re gonna improve your marketing storytelling. Creation is a collaborative and ever-evolving process, so please collaborate with your team on this. It provides higher ROI for messaging campaigns. It pretty simple here if we send the right message, we’re gonna get clicks, interactions, opens from it. The last thing is personas are awesome. When we introduced this concept about 12 months ago, about building this out, it was new to me, so I read a bunch of materials on it, read a bunch of books, blogs, and I was a skeptic at first and now I’m an advocate and I love it. And every time I you know, consult with a company or meet with them and we talk about marketing strategies, one of my first talking points… because once we identify personas everything else moving out from marking strategy becomes a lot easier. I will give a final recommendation, from one of our partners, actually Phil Donaldson and if he’s on, I can thank you for this over at PropelGrowth. There’s a book called, eMarketing Strategies for the Complex Sale, that’s the author at the bottom as well. I’m not gonna say the name because I’m gonna butcher it. It’s one of the books I picked up, again recommendation from a customer, it has been fantastic and eye-opening on the utilization of personas and messaging. And it’s something that if, this is something you’re interested in for the folks, you know the 6% that said, you don’t understand it, If you’re opening to reading a little bit of literature, I have really, really enjoyed what I found. And it’s actually taught me a lot of things that we’re gonna apply here at SharpSpring. So with this we’re going to open up for some Q&A. So the first question so, if a persona designation changes, is there a record of that? We designate them as one persona and they self-identified as something else, we will be able to see that occurred. So not in the system, so the way that persona works is just a field value on the lead record. So if persona value changes, then what it’s gonna do is it will actually just overwrite the pre-existing value. However, first of all I think that’s a very interesting idea, it’s just how do we deploy that internally. What we can do currently is we can use a checkbox group if we want to and trigger automation-based on it. And say, when someone’s persona change to this check-to-check box, and then on the lead record while it’s not the persona itself we can view that checkbox group and say, alright, this number of checkboxes are checked. They’ve been the part of this many personas. It’s not gonna give us like a chronological timeline of when those persona events happened but we’ll see every persona they’ve been associated to. Great question. The next one, how many personas is enough? How many is too many to be useful? I like the five to eight range, personally. You know, we started at 20 and if you have a lot that’s completely fine, I think more is better because then we can just trim it down. Five to eight is my preference. I’ve seen customers use as minimum as small as three, which I think is… like I work with a, again a gym here in town, they have three that they utilize, which I think is cool if that fits their demographic. But five to eight is what I found valuable. If you go over that’s not a big deal, if you go under, again not too big of a deal. It’s really based on the total number of different consumer audiences that you have. Next one, is it worth building out a persona that only makes up a small percentage of my current target or client base? So I would say, yes if you see growth in that space. So if you think that this is a segment that you want to grow, or you know when we were asking those questions, who is our target audience? And it’s them. Absolutely build a segment. Now if it’s something very, very niche and you don’t think it’s gonna grow, we don’t have to. But if you only have a few personas, I say, go ahead and add it. But it’s really based on this total growth potential. So the last question I have, I have a very define target customer. Can I still benefit from personas? Absolutely, so that’s what I usually get from customers, okay we know who our customer is, it’s fine from customers to customers. But you think you do, then when we start analyzing information, there might… even if it’s just slight variances, if there’s still some sort of things that are uniquely different to them, it could be age, or experience, or where they’re at in the funnel, if they’re top of the funnel, middle the funnel, bottom the funnel, communication preference… I would challenge that there is no segment out there that we can’t break down into different persona types. And again, if you think you have a challenging one, please submit it a training ticket, we’d love to chat about it and make sure we can help you really build this feature out in a way that’s valuable. All right those are the last questions. But if you have anything else that comes in, like I said, I love talking to folks and I love chatting about this stuff. You can email questions to SharpSpring@sharpspring.com, they’ll be routed to Nicole and she’ll answer the majority of them. If they wanna come straight to me, of course, you can just email me at bryan@sharpspring.com, I’m happy to do that. If you want to see a demo www.sharpspring.com, our tool is fantastic and it helps businesses grow and I think you’re really gonna enjoy what you see, in fact, I know you’re gonna enjoy it when you see it. Last part, partners, i you have a story, if you thought this was fun, if you wanna share some insights, email Nicole. We love working with you all, we think it’s a lot of fun to do these sessions. Alright, everyone thank you for bearing with me, I did not think this would go with 49 minutes long. I really hope to see some engagement, and again start using personas, they’re really gonna help your marketing messaging and improve your ROI.